Thank Dr. Kavita Patel for a job well done. I am very happy with the outcome of your efforts. I now have a gorgeous smile! 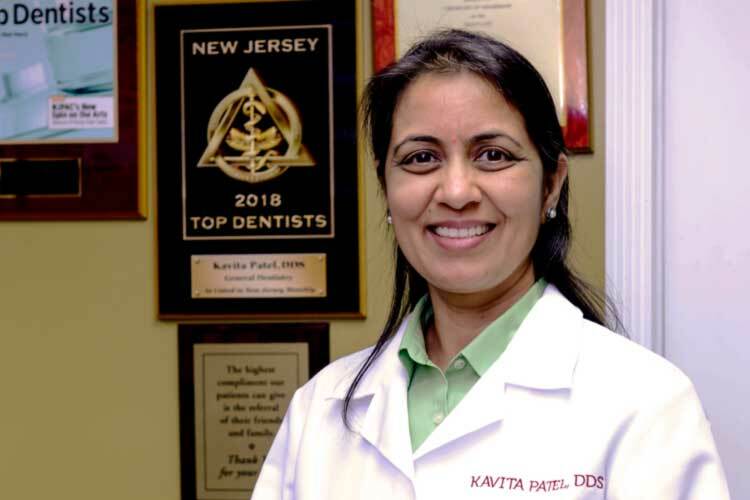 When you walk in to the practice of Dr. Kavita Patel, you will instantly be enveloped in a feeling of welcoming tranquility. But that’s not all. 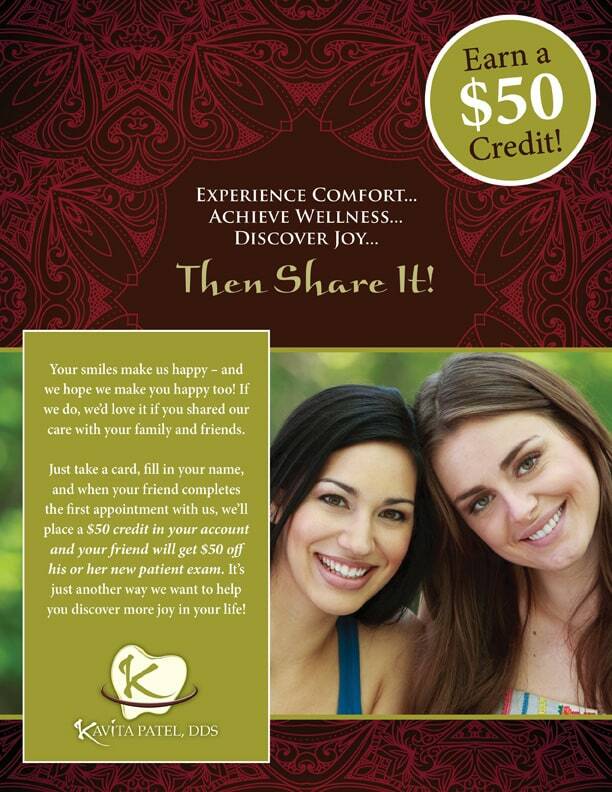 Our true motivation is giving patients the absolute freedom to smile! We listen carefully and work with you to develop a plan – and help you find true beauty and total health. We believe that everyone who comes through our door deserves truly excellent dentistry – dentistry that feels good, looks beautiful, and lasts. Why such care and attention to detail? 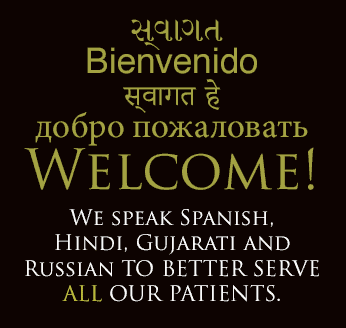 We know firsthand what it means to be a dental patient! “I have had almost every dental procedure there is. I have experienced the pain of a toothache, the anxiety associated with dental surgeries. I have felt the needle and the drill, and known how it feels to have my bite out of balance. And I have gone through treatment to get everything in my mouth stable, healthy, comfortable, and feeling good.